Saffron tech startups are going global. Restaurant search firm Zomato, ride-hailing firm Ola and hotel-rooms aggregator Oyo lead the charge overseas. A complex home market will provide for successes in far-flung lands and, crucially, plump the bottom line to win at home too. 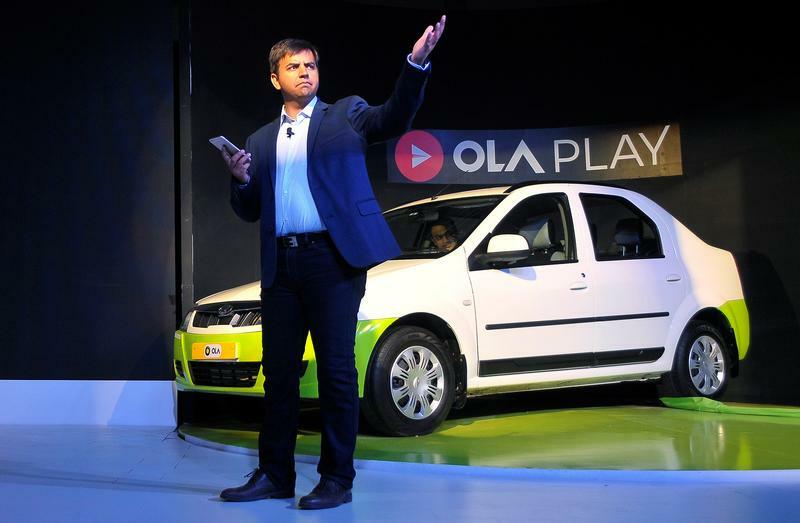 Bhavish Aggarwal, CEO and co-founder of Ola, gestures as he addresses the media during a news conference in Bengaluru, India, November 22, 2016. Indian ride-hailing platform Ola said on Sept.18 that it plans to launch operations in New Zealand. Earlier in the year it expanded into Australia and the United Kingdom.